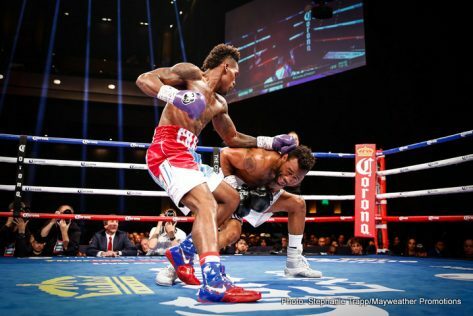 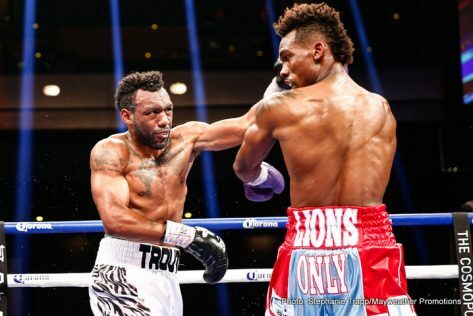 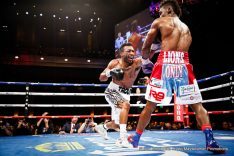 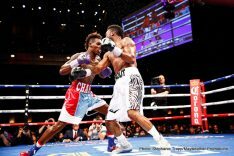 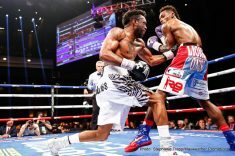 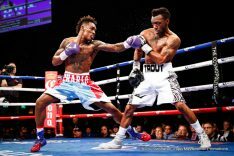 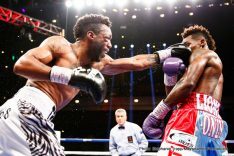 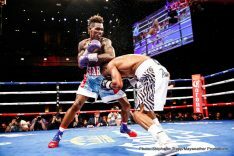 By Jim Dower: In a very hotly contested bout, IBF junior middleweight champion Jermall Charlo (24-0, 18 KOs) bad to struggle hard to defeat former WBA 154lb champion Austin Trout (30-3, 17 KOs) by a 12 round unanimous decision at the the Chelsea at the Cosmopolitan in Las Vegas, Nevada. 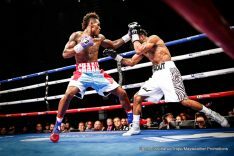 The judges’ scores were 115-113, 116-112, 116-112. 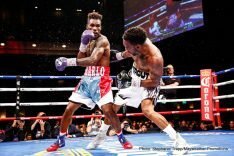 Charlo, 26, landed the harder shots to dominate the action in the first six rounds. 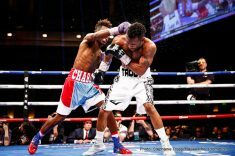 However, Charlo seemed to gas out a little in the second half of the fight, and was outworked by Trout. 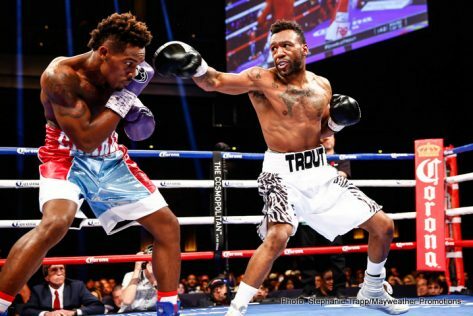 You can argue that Trout won five of the last six rounds of the fight. 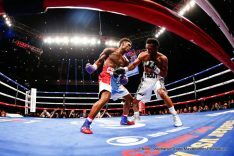 I had the fight scored a draw. 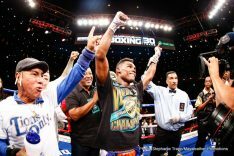 I thought Trout won rounds 1, 7, 9, 10, 11 and 12. 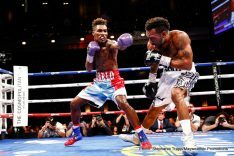 The crowd wasn’t happy with the decision afterwards, as they booed loudly to let the judges know that they felt Trout should have won. 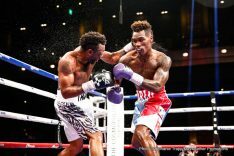 Trout suffered a cut over his right eye in the 10th round from a clash of heads. 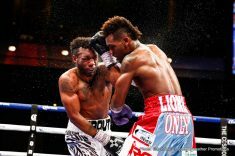 Trout fought well despite suffering the cut. 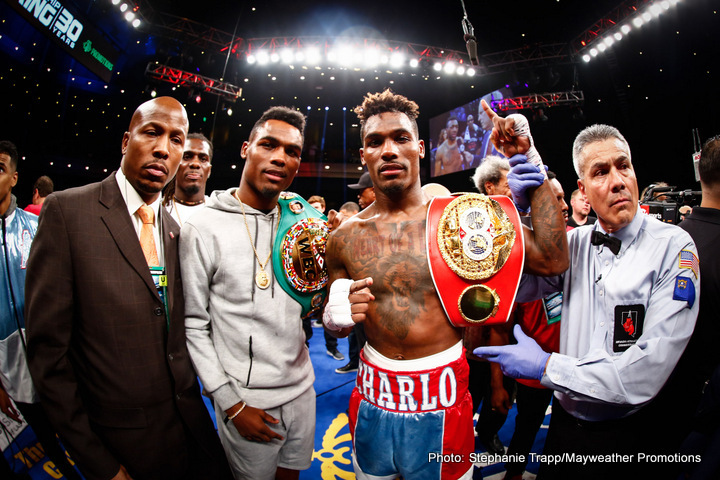 Charlo was missing frequently with his big power shots, especially in the second half of the fight. 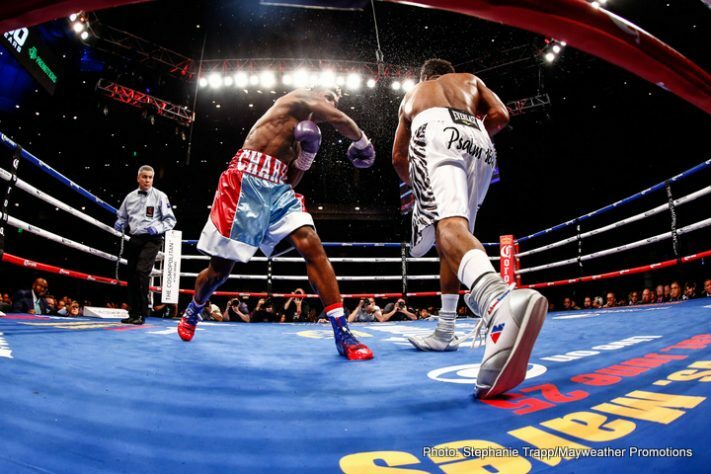 Trout was able to land his left hand almost at will in the last six rounds of the fight. 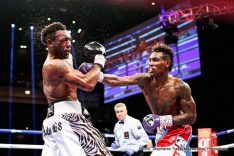 This seemed to have made Charlo less willing to throw his own power shots. 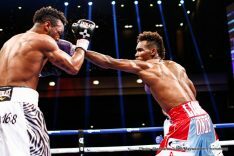 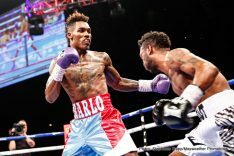 In the first half of the fight, Charlo was frequently first with his punches, as he seemed unafraid of being hit by the weaker punches of Trout. 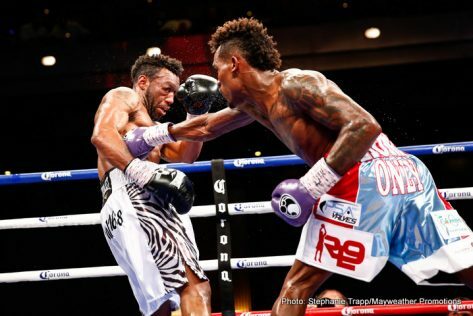 However, once Trout started showing more initiative to be first with his punches in the last six rounds, Charlo was less aggressive and not the same fighter he’d been earlier. 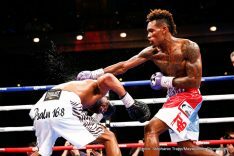 Trout clearly was the better fighter in the second half of the fight. 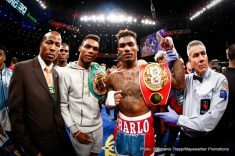 Charlo did not finish strong in the way he needed to as the IBF champion. 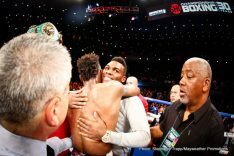 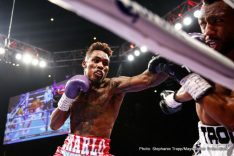 The fight showed that Charlo needs to stay at 154 becasue he’s not ready to move up to middleweight to challenge fighters like Gennady Golovkin or Saul “Canelo” Alvarez. 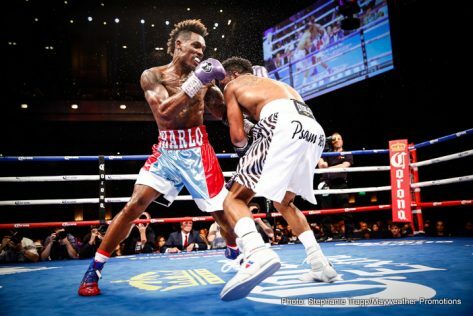 Even Daniel Jacobs would be a real problem for Charlo with the way he fought tonight.